Are they gonna like me? Oh, I think maybe they might like me. Do you think they will want to adopt me? Gosh I hope so! 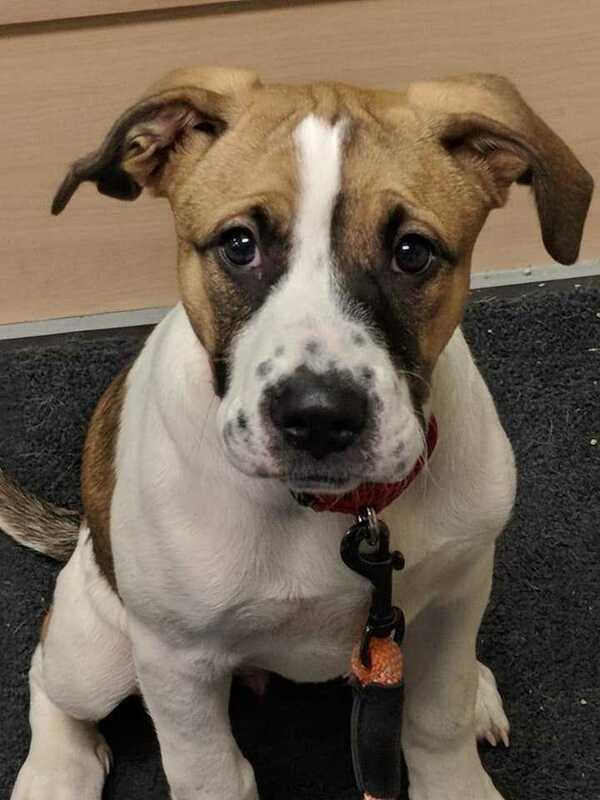 Annie is a 5 month old boxer/hound mix who is looking for a soft place to call home. Annie likes treats, running with no destination in mind, playing with her foster siblings and snuggling. She is a bit like a tootsie pop, you know, the old commercial where the owl licks the sucker one, two, three, crunch? Annie is like that with kisses. She likes to give them then gets so excited she puts your whole nose in her mouth. Annie knows sit and she waits for her bowl like a good girl. She comes when called and will run to the door from the car every time. Annie is working on house training and leash walking. Crate training is going well. She barks when she is first crated but then does settle down. Annie is spayed and has a microchip and puppy shots.